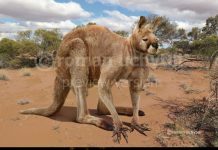 At one point in time, it was believed that many of the large marsupials of Australia (such as the giant wombat) were able to prosper so well because there was a lack of predators that they had to deal with. 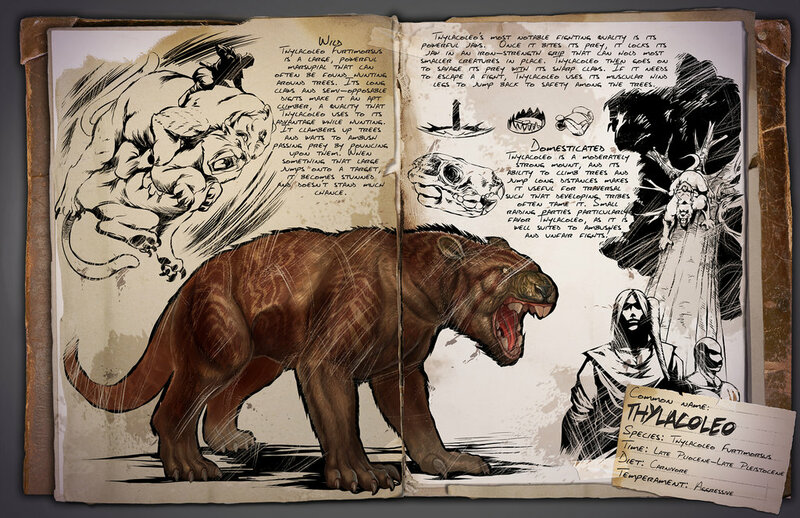 However, this theory was forever put to rest when Thylacoleo was discovered. 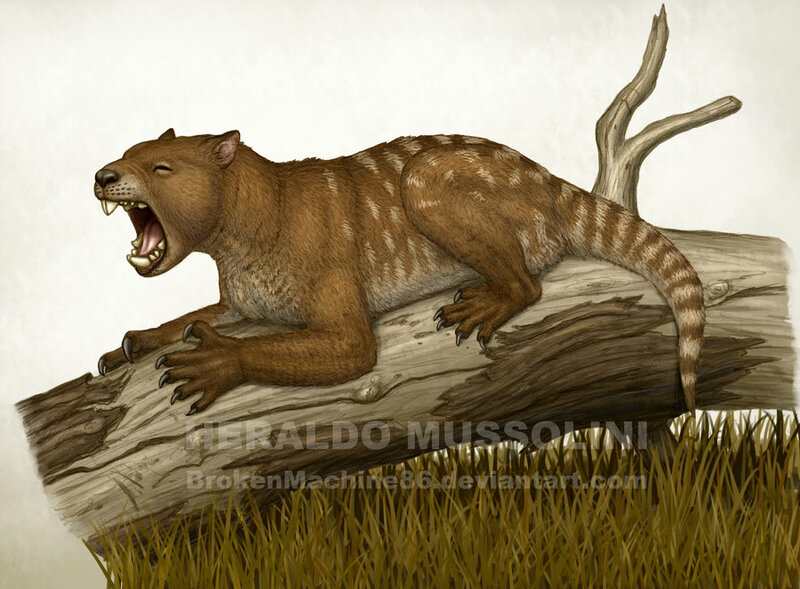 As you can tell from Thylacoleo pictures, this animal was just as dangerous as any of the big cats are today. 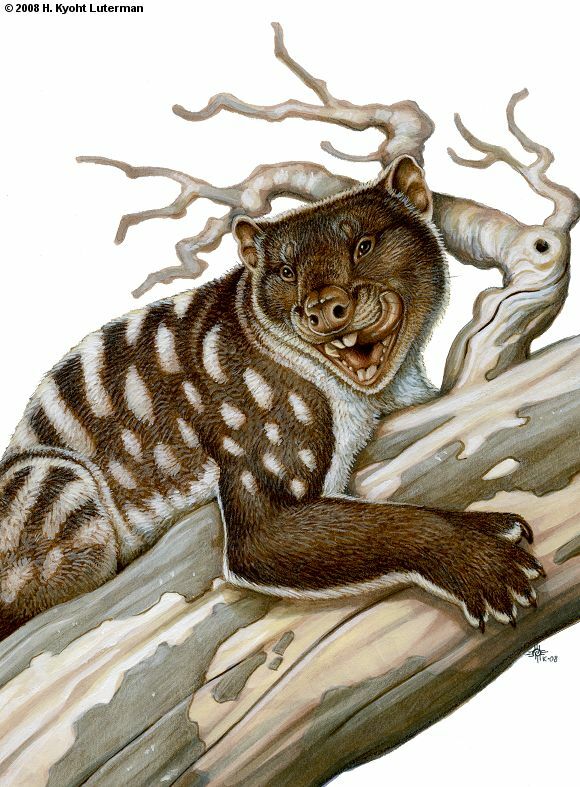 It would have preyed on Procoptodon and many of the koala and kangaroo species of the time. 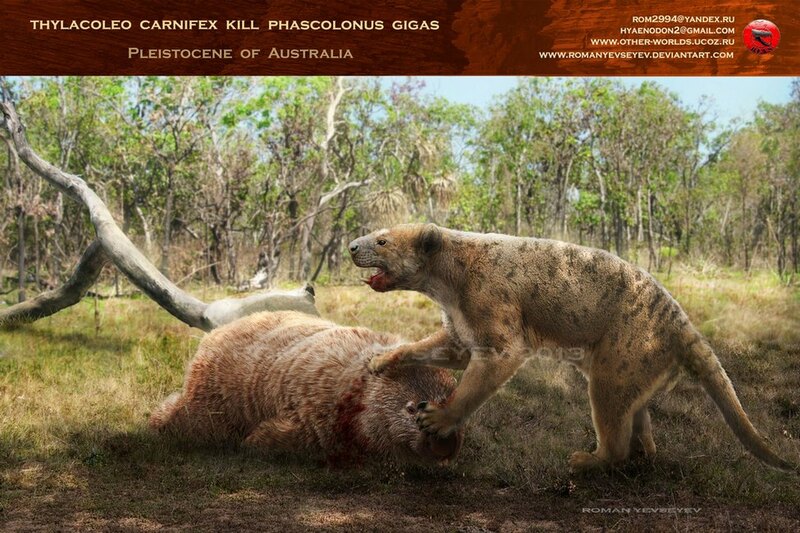 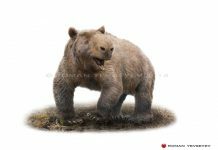 And while the giant wombat (Diprotodon) was too big to have to worry about this predator, more than likely Thylacoleo preyed on the young of Diprotodon. 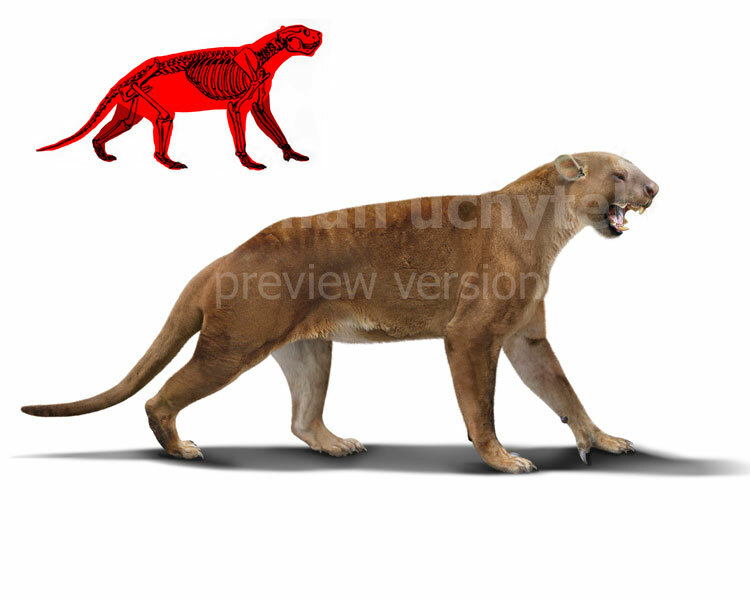 This large carnivorous predator was approximately 5 feet long and weighed around 200 pounds. 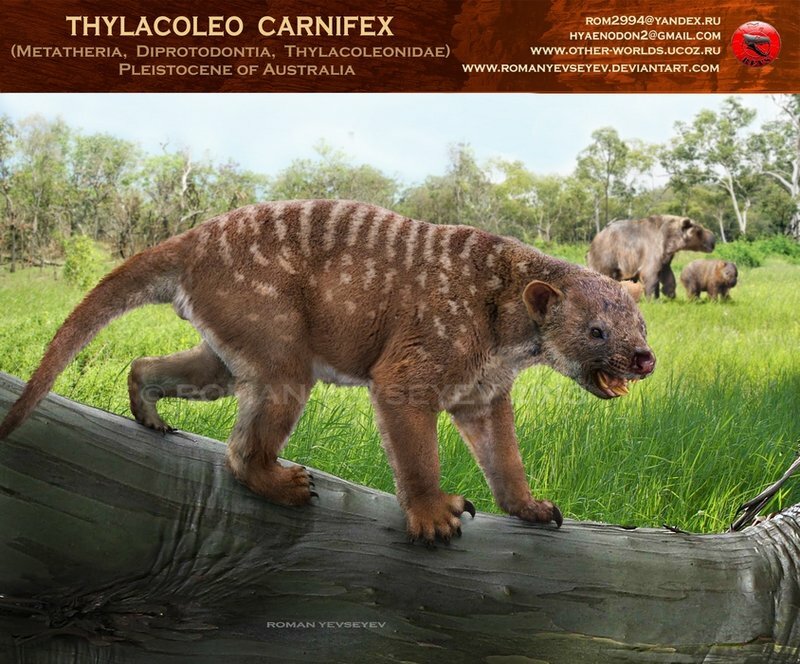 It had sharp, rodent-like front teeth and along those teeth were smaller razor sharp teeth that scientists originally thought were designed for eating fruits and nuts, but later evaluation determined they were actually used for biting through bone. 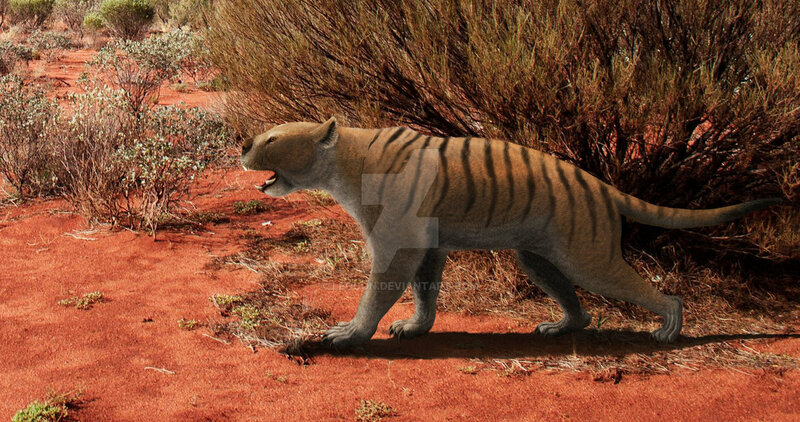 One of the strangest facts about Thylacoleo is that it had a very strong tail. 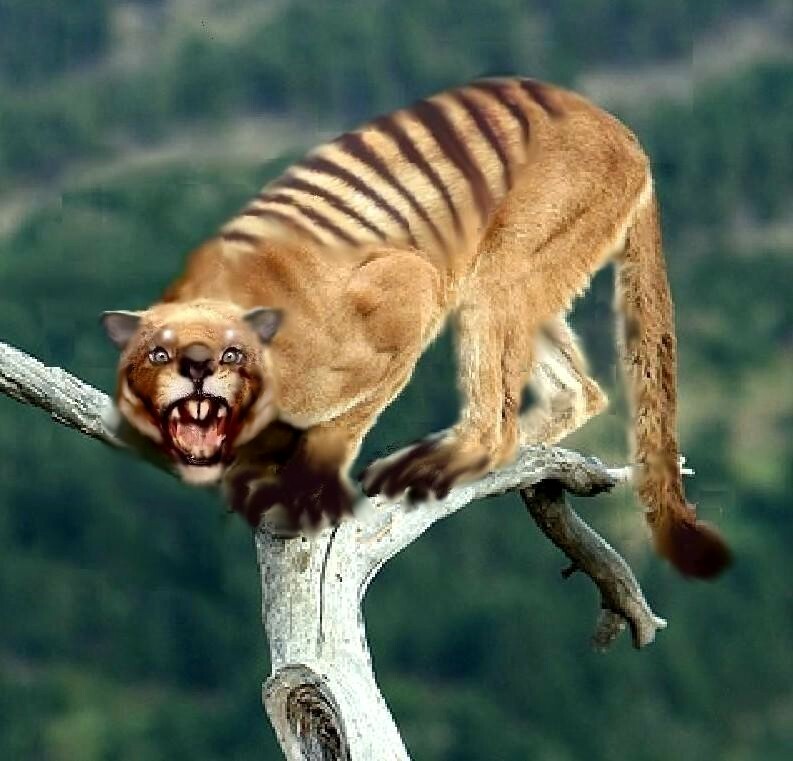 This was probably used in a way that allowed it to rear up on its back legs. 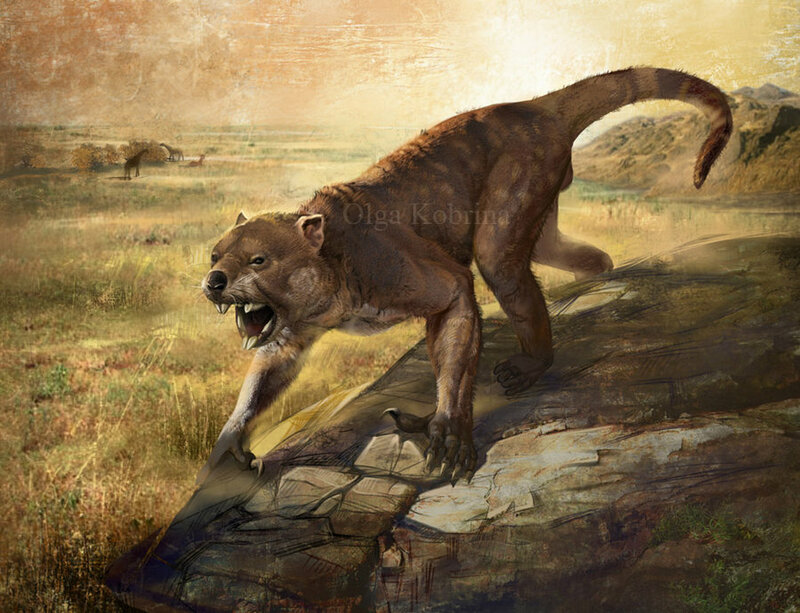 This would have been an advantageous adaptation because many other large marsupials during that time could also rear up on their tails to fight with their front claws. 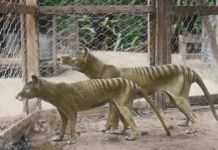 It is believed that human beings were responsible for the extinction of Thylacoleo. 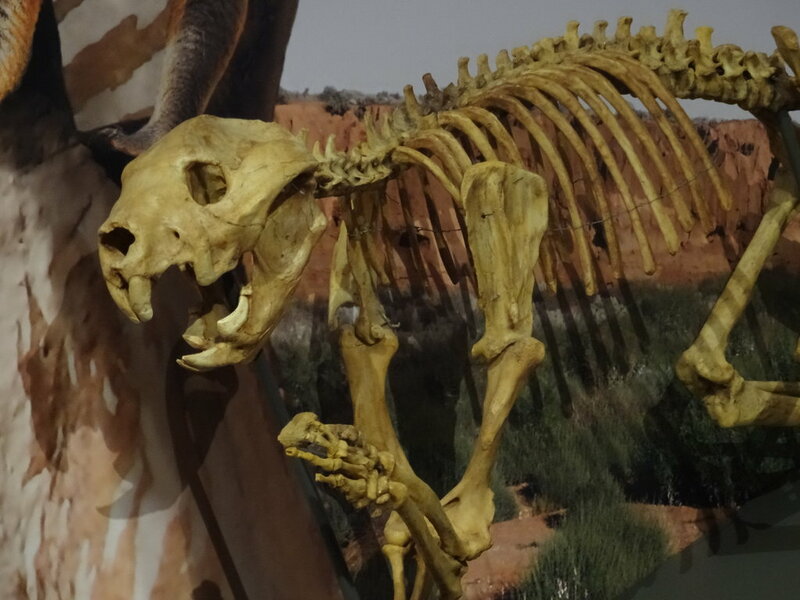 Human hunters most likely hunted the animals these marsupial lions preyed upon into extinction, and this, in turn, led to its extinction. 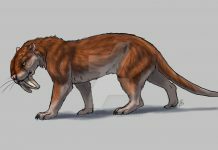 There is also proof that humans hunted these animals directly – as shown by several cave paintings from that time.